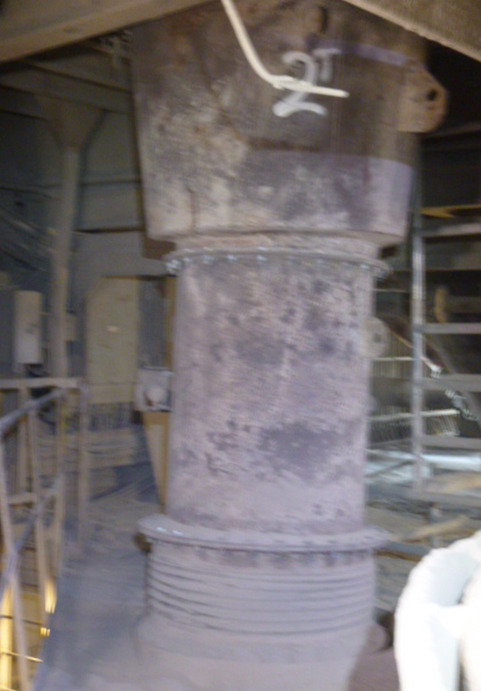 During the major shutdown periods at Cauldon Cement works maintenance is carried out to the cyclones, chutes, pipes and flaps within the pre-heater tower. 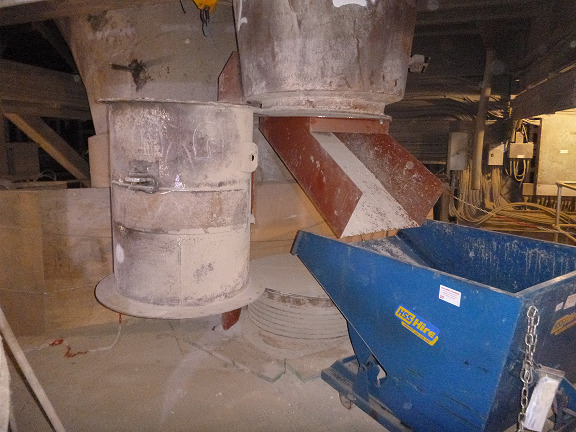 The maintenance work can produce large amounts of demolished refractory materials, cyclone clean down material and also new refractory materials (known as rebounds). The material is caught by blanks inserted into the pipework before the demolition process starts. Once the process is complete, the blanks are removed and any blockages and waste material removed from the meal chutes and flaps prior to restarting the plant. This could require the meal chutes and flaps to be removed which required the use of lifting equipment, slinging and rigging. This was identified by the shutdown team as a high risk activity. Following a brainstorming session, it was decided to create a new hinge system that would enable a section of the feedpipe to be removed. A trolley that utilised a hydraulic ram and pumps was used to lift the flap sections and allow them to be rolled out of the way of the cyclones and any material dropping drown from the cyclones. Once the chutes and flaps were moved, a purpose built hopper was installed at the bottom of the meal chutes. The hopper directed material into a wheeled skip which was used to catch and then remove the waste.